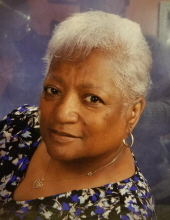 Patricia Ann Carter Morris, 77, of Philadelphia, formerly of Ambler, passed away on March 13, 2019 at Bala Nursing and Retirement Center. She was born in Abington, PA on February 7, 1942 to the late James Leon Carter and Carrie (Duckett) Carter. Patricia attended Ambler schools and Wissahickon High School. She was employed as an Electronics Assembler for Philco Ford. She also worked at Sold State Inc., The Holiday Inn, The Adams Mark Hotel, and Nabicso until her retirement. Patricia was a dedicated and hard worker who took enjoyment in her work. She enjoyed reading, everything western, and spending time with her family. She was active with the New Gethsemane Baptist Church where she served as a #2 Usher and Memorial Tabernacle Baptist Church where she was a Pastor’s Aid. Patricia finally joined Triumph Baptist Church. She also enjoyed reading her Bible and furthering her knowledge by attending Sunday School. She also formerly lived at Opportunity Towers for 15 years, a senior living residence, where she developed her own ministry and helped distribute food and clothing to the residents. Patricia is survived by her daughter Pamela Morris Barnhill and her husband Forrest Michael Barnhill, 3 grandchildren Wayne, Janelle and Jamil, 6 great-grandchildren Kayla, Wayne, Jade, Maddison, Brandon and Jamil Jr., 4 great-great-grandchildren Kyhir, Lucas, Jamira, and Arron, her former husband Willie James Morris, 4 sisters Judy Medly, Brenda Carter, Frances Lewis, and Alice Carter. She was preceded in death by 3 siblings Gertrude Dean, Mary Carter and James Carter. Relatives and friends are invited to her Viewing from 8-10 a.m. followed by the Funeral Service at 10:00 a.m. on Friday, March 22, 2019 at Triumph Baptist Church, 1648 W. Hunting Park Avenue, Philadelphia, PA. Interment will be in Chelten Hills Cemetery. Condolences may be made at www.ciavarellfuneralhomes.com. To send flowers or a remembrance gift to the family of Patricia Ann Carter Morris, please visit our Tribute Store. "Email Address" would like to share the life celebration of Patricia Ann Carter Morris. Click on the "link" to go to share a favorite memory or leave a condolence message for the family.